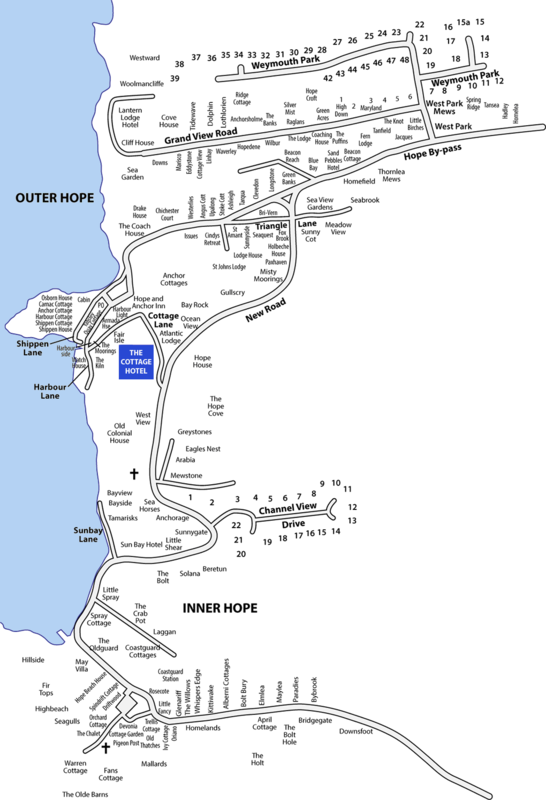 Most of the houses in Hope Cove do not have numbers which makes finding an address difficult. The map below shows the house names and locations of the homes. Below the map is an alphabetical list of the houses with their locations. Click here to go to the alphabetical list.